Will the Star Spica Regenerate Humanity and the Solar System? April 15, Will the Star Spica Regenerate the Solar System? 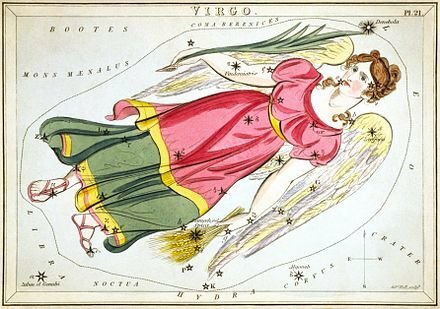 Constellation Virgo c. 1825https://en.wikipedia.org/wiki/Virgo_ (constellation)#/media/File:Sidney_Hall_-_Urania% 27s_Mirror_-_Virgo.jpg Virgo as depicted in Urania's Mirror, a set of constellation cards published in London c.1825. Virgo is the largest constellation of the zodiac, and Alpha Virginis, is a Blue Giant and the brightest star in the constellation. It is the nearest star to the Sun that has enough mass to end its life in a Type II supernova explosion. It is part of a massive binary star system identified as the star Spica. The blue star Spica was known as the “Ear of Corn” in the hand of the celestial Virgin and predominated early images of the constellation Virgo. Historians linked her [Constellation Virgo] with Isis, the goddess who also clasps to her body either wheat-ears or the young Horus child. Blue giant stars will turn into red giant stars at the end of their liveshttps://sciencing.com/difference-stars-blue-giant-stars-5777297.html and it is in their red giant phase that large stars explode as supernovas. To the Dogon this meant the Nummo and the Master (Mistress) of Speech sacrificing themselves to regenerate the Earth and the Solar System. 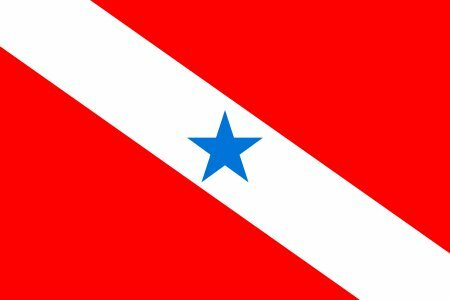 A blue star also represents Spica on the flag of the Brazilian state of Pará.https://en.wikipedia.org/wiki/Spica These associations are important because many Dogon symbols and myths appear in the cultures of the Indigenous Peoples of the Americas and Mexico. In my books, I associate the Nummo with myths about Virgin goddesses because the Nummo were described as being self-fertilizing hermaphrodites.